You've found it! 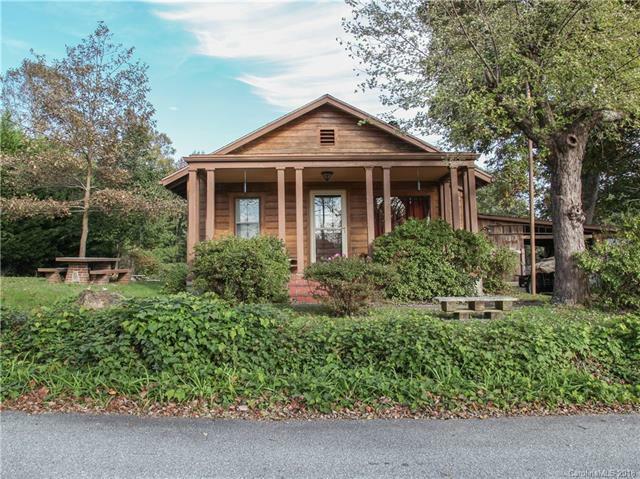 Charming home offers great combination of historic character and excellent location. 2 miles from Main Street Hendersonville and even closer to the amenities on 4 seasons blvd. 3 bedroom and 1 bath, but don't let the square footage fool you! Back bedroom and kitchen from original expansion not counted in heated living area due to lack of floor vents. The home lives much larger with additional space including the enclosed porch, walk out basement and covered storage space. Sitting on a private lot, approximately .63 acre the back yard has a little creek running and is in the flood zone. With a little TLC this is the home you've been looking for. Whether youre a first time home buyer, handyman investor or seasonal resident, don't let this one get away!